It will be Fort Snelling’s turn to serve veterans when five historic buildings in its Upper Post section are rehabilitated into a 58-unit permanent supportive housing development for homeless veterans and their families. Thousands of active military personnel have served at Fort Snelling in Hennepin County, Minn. since the historic fort was built in the early 1820s. 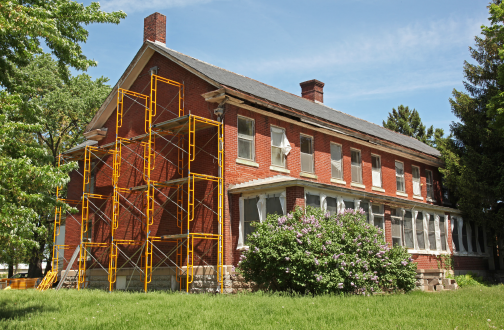 Two centuries later, it will be Fort Snelling’s turn to serve veterans when five historic buildings in its Upper Post section are rehabilitated into a 58-unit permanent supportive housing development for homeless veterans and their families. Scheduled for completion in early 2015, the $17.2 million Veterans Housing at Fort Snelling is being financed in part by federal low-income housing tax credits (LIHTCs), federal historic rehabilitation tax credits (HTCs) and state HTCs. CommonBond Communities, the developer, converted three former quartermaster stables into efficiency studies and one-bedroom apartments. The fort’s old haylofts were transformed into office space, meeting rooms, a community room and a computer lab. Two buildings that once housed noncommissioned officers became a duplex and fourplex with twoand three-bedroom rental homes. Read the full story in Novogradac July 2014 Publication.